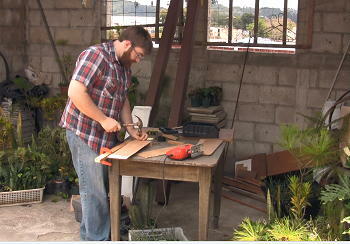 In May 2012, LifeNets helped develop an organic hydroponic infrastructure in urban Guatemala City. The ongoing project is being led by Francisco Solorzano, who has worked as an agronomist for several decades. 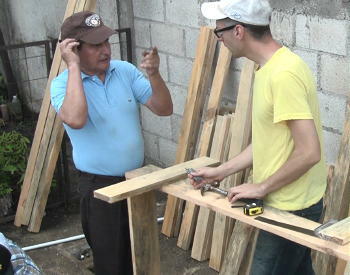 Recently Mr. Solorzano updated LifeNets and Good Works on the progress being made with the project. He has organized four groups of five individuals who wish to learn about the hydroponic process and begin their own gardens. The teaching facility that was constructed in May is located on the roof of Mr. Solorzano’s house, allowing him to maintain it regularly. Everyone involved is excited about the project and the potential of expanding it to the surrounding areas. Thank you to everyone who has contributed in some way for helping improve the quality of life for those involved. 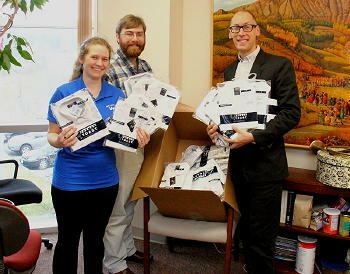 From left Sarah Bizic, Milan Bizic, Jonathan Magee shown with large supply of white shirts to go with them to Guatemala. White shirts are compulsory part of school uniform and are in great demand. Shirts were sent by anonymous donor. From May 13 to May 22, 2012, Jonathan Magee, Milan Bizic and Sarah Bizic will travel to Guatemala to assist local brethren in a joint Good Works and Youth Corps project. The main goal of the project will be to establish hydroponic and organic farming infrastructure to produce food for personal use and to sell. Updates on this project will be made here and on http://goodworks.ucg.org in the next few days for a full update on this project along with donation information. United Church of God is supplying the three Youth Corps workers. 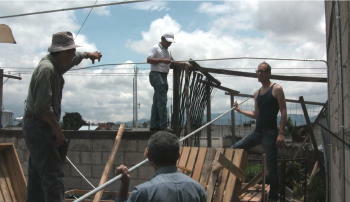 Through its Good Works program the United Church of God is providing the air travel to Guatemala. LifeNets is providing the supplies the hydroponic venture as described below. Urban agriculture is the option to grow vegetables intensively in small areas. The production areas may be patios or terraces. 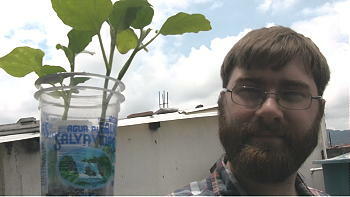 Hydroponic techniques allow the use of lightweight materials and the use of all types of plastic containers, promoting recycling and avoiding environmental degradation through organic urban agriculture. The cultivation of vegetables and other crops, using the technique of hydroponics, has been increasing in urban areas as an alternative to meet the nutritional needs of the population. According to data collected, it was found that the diet of the population have and a lack of vitamins and minerals present in vegetables. 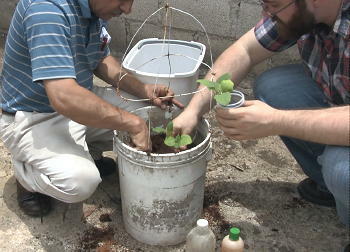 Hydroponics techniques have been improved, making the production of vegetables in wooden boxes and plastic containers recycled. Produce vegetables, ornamentals and herbs intensively for family consumption and sale system using hydroponics techniques beds under plastic structures and Saran (special mesh fabric). Plants reproduce by vegetative propagation and acquire new species. In order to grow vegetables intensively, is required to build a structure with galvanized pipes and installation of PVC plastic and saran (mesh) to protect plants from extreme weather such as rain and excessive sun. For the production are built wooden boxes filled with inert materials such as rice hulls and other materials and apply the nutrient solution that provides the necessary elements for their development. In another embodiment is "seed" vegetables in sheets of hard-port placed in wooden boxes lined with plastic filled with water. For adopting organic production methods for physical and biological exclude pesticides, thus ensuring the production of vegetables free of chemical residues. Planting vegetables is done in stages to ensure continuity of production throughout the year, taking the plastic cover. Compared with the conventional production system, it is possible to produce 40 kg / year / square meter of vegetables. The minimum area for a family to produce vegetables for their food security is 12 square meters. By plastic cover occurs without interruption throughout the year and production is not affected by climate variations. Once collected the product will be placed on trays for sale, mainly members of the congregation in Guatemala so they can eat vegetables produced organically without chemical contamination. Garden tools (scissors, spoons, hoes, clippers etc. It has a floor space of approximately 90 square meters where it can grow horizontally and vertically in several growing seasons throughout the year. To cover expenses, the investment is approximately $ 1, 500 (one thousand five hundred dollars), which can be specified for each item. The production center of this project will be used to provide training to members of the Church who so wish to become self-sufficient in vegetable production at household level.